Following on from a successful release and tour cycle of debut album Colourize, Melbourne’s Pretty City are now ready to introduce fans to the second instalment of their growing body of work: 2018’s Cancel the Future. Releasing their cracking lead single from the album - Simone - was a perfect taste of what to expect from Cancel the Future; an album that is far more positive and bombastic than the title may suggest. Having spent much of 2017 edging out the tour cycle of Colourize and continuing to impress tastemakers and radio-heads with a captivating combination of shoegaze and chord-heavy indie-rock music, Pretty City returned to the drawing board to figure out what the next logical step was for their sound, and the influences they had gained from time spent making Colourize and bringing it to life. Where their debut album Colourize was unleashed, drenched in acid tinged psych-rock flair back in 2016, Cancel the Future has Pretty City in a creative space where vibrancy and unadulterated sonic indulgence has been embraced with open arms. 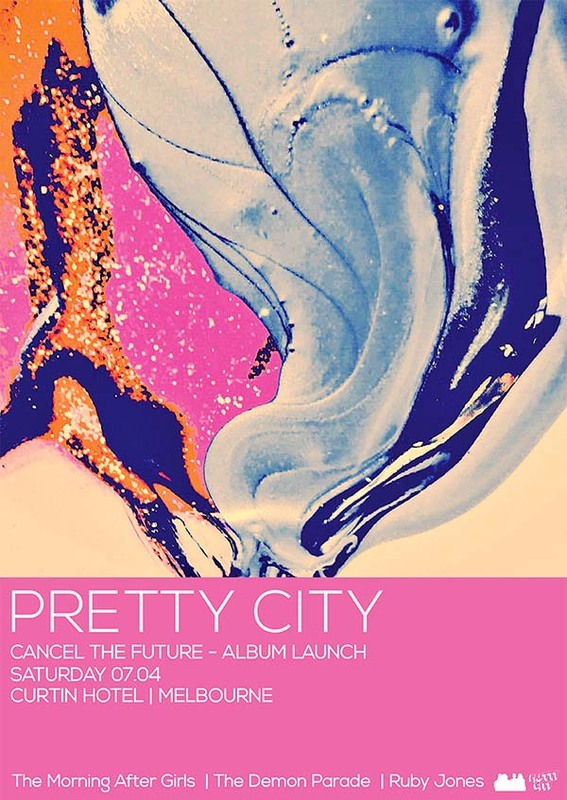 If the future is set to be cancelled, Pretty City are making sure they go out with a bang, bringing the album to crowds globally from March until May.